Superconducting floaty madness – Science is amazing. New Look, New Focus, New Post! This website is suffering from world development. No, honestly. A great example came the other night when a few of us trotted up to London to see the comedian Michael McIntyre. I was blown away by how good he was, wanting to tell everyone about it. Back in the day, the only choice I had was to whack it all up on here. But 2009 has brought me a choice. I could either go home, write a long eulogy on here late into the night, embellish the whole story more than it perhaps deserved, and go to bed exhausted. Or, I could quickly use my mobile phone to let close friends know through Facebook (and everyone else through Twitter), before quickly uploading a picture or two to Flickr. The first choice would have taken a day, and the moment might have passed. The second option was immediate, quick and easy. It’s become so simple to do, it’s a no-brainer. 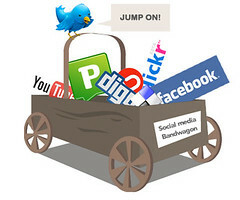 So these other sites – Twitter and Facebook for little anecdotes and links, Flickr for pictures and Youtube or Vimeo for videos – are taking the spotlight away from wibbler.com, to such an extent that only the really major events are given any time on here. Nowadays I also post a lot on other sites, and you might want to know about these too. It’s all still me, I’m just spreading myself around a bit. Amazing colour images of Nazi Germany – . YouTube – Piano stairs – Fun piano stairs = fitter commuters. Call me a dork (pause for effect), but I’ve always been in awe of the freedom and excitement of being an entrepreneur. 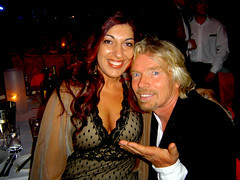 Like him or loath him, Richard Branson stands at the pinicle of what I think an entrepreneur – intelligent, ruthless, lucky (!) and charismatic – albeit in a slightly camp way in Branson’s case. His book, Screw it, Let’s Do it: Lessons in Life (Quick Reads) is exactly what an entrepreneur book should be about. Do you have any that I’ve missed? 27bslash6: grubby – Whoever writes these should get a book deal. Make Firefox Faster by Vacuuming Your Database – Firefox fan? Flush Firefox Fantastically. A marriage proposal on telephone poles turns sour – Lose on the relationship, win on the humour.